Kohen suddenly fell sick with a fever. Tests showed his white blood cell count was twice the normal amount, a sign of infection. 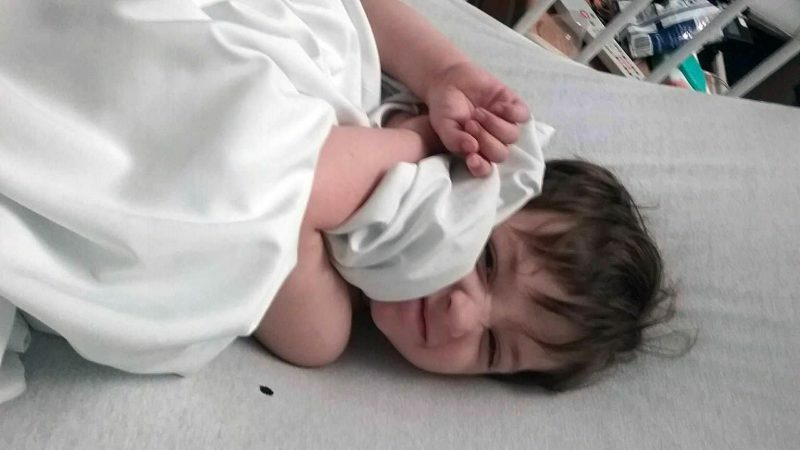 My 19-month-old son Kohen got MRSA from an infected pimple and needed emergency surgery. Thankfully, he recovered as fast as he fell sick. He was flown to Akron by the Air Bear flight team out of St. Joseph’s Hospital in Warren, Ohio. This was the first flight for both myself and my son, ever. From the very beginning, you could tell the staff had great communication with each other and the other hospital. Our flight on Air Bear! He had emergency surgery the same night we arrived. The surgical team also did a fantastic job keeping me informed and communicating with each other. Even stressful situations were handled with extreme professionalism. 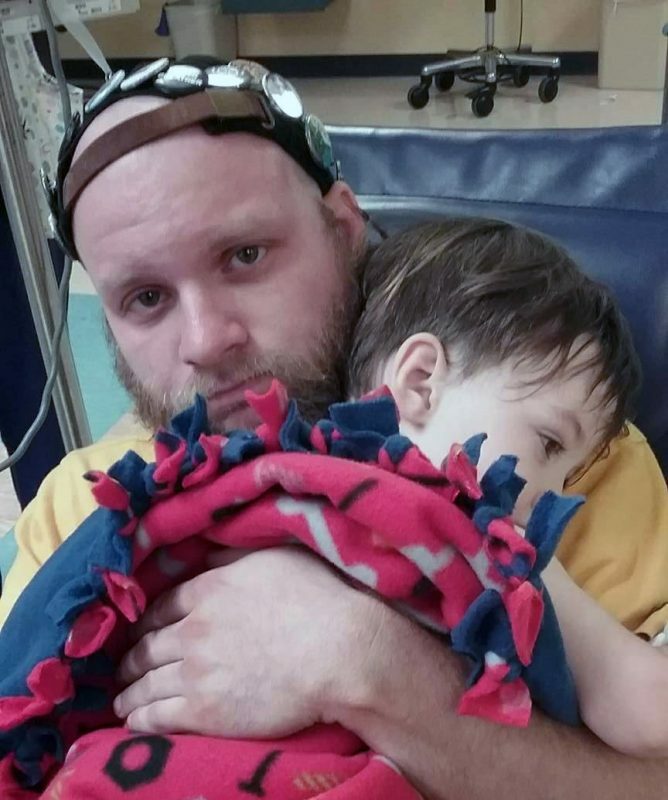 Kohen rests in his daddy Derek’s arms after surgery. 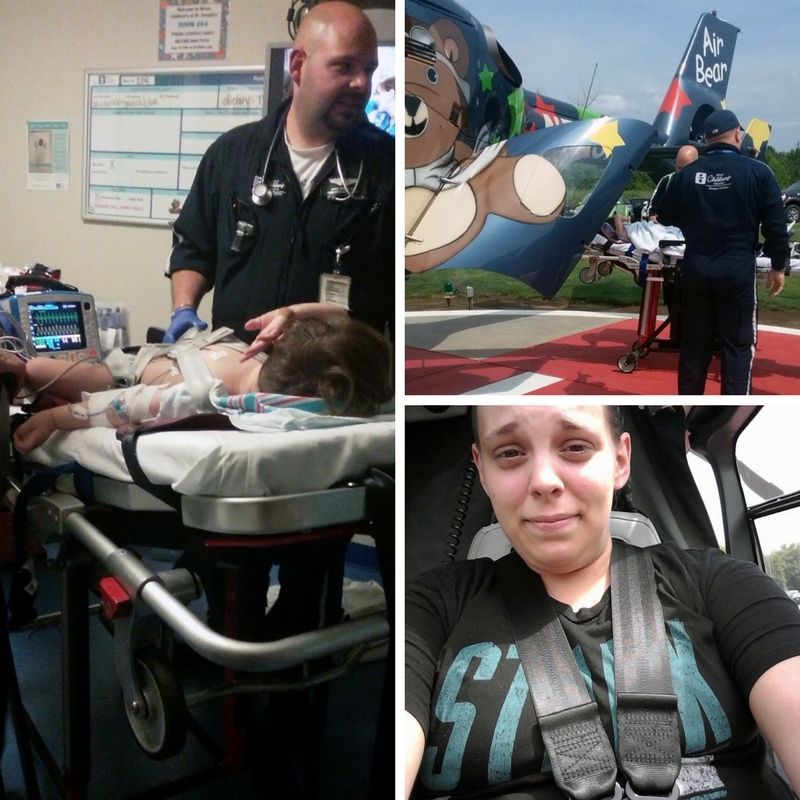 I met so many different doctors, nurses, and staff that there was no way I could remember everyone’s names. We stayed 3 days and 2 nights on the seventh floor. 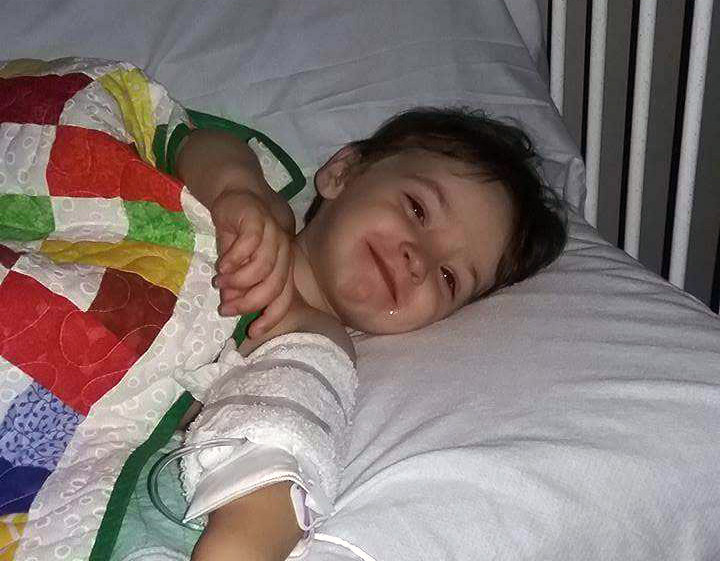 Kohen loves his new blanket donated to the hospital from Project Linus. His incision is healing perfectly, and the swelling and redness of the infection has all gone away. We go back to Dr. David Andrews this week for a check up to make sure his incision heals fully. You can tell everyone there loves what they do and are so caring. Thank you all so much for taking such good care of our boy. I can’t put into words my gratitude. He’s back to his favorite activities — playing outside, wrestling with his 3 older brothers, and playing with any toy truck with big wheels. 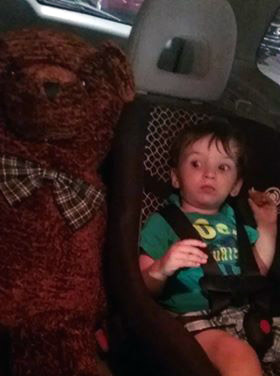 A nurse gave Kohen this giant teddy bear. Here they are riding in the car together.